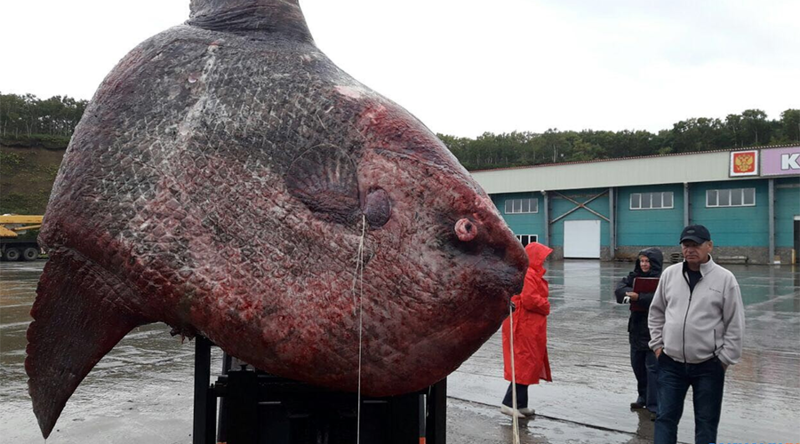 The group of Sakhalin fishermen did not expect to find the Lovecraftian monster in their nets as they took to the sea for smaller fry on Saturday. The enormous fish, considered a delicacy in some cultures, proved to be a dead weight as it didn't make it to the shore fresh. 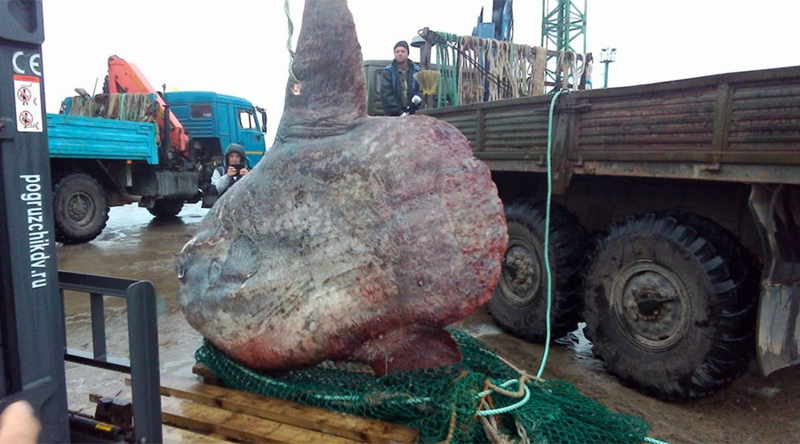 Russian fishermen pulled a 1,100 kg ocean sunfish which got stuck in their net in the waters near Iturup island, according to Sakhalin info. Also known as moonfish and mola, the bizarre-looking creature is the heaviest bony fish on Earth. By the time the fascinating behemoth was brought ashore three days later, it had begun rotting. The fishermen had no choice but take it to a dumping site where locals bring their fishing waste for wild animals, including bears.